The Flying Engineer: Behind Mangalore’s mangles: Facts about the aircraft type, airport, human factors, rules, and previous crashes. Behind Mangalore’s mangles: Facts about the aircraft type, airport, human factors, rules, and previous crashes. The fatal accident of Air India Express Flight 812 at Mangalore International Airport has jolted the Indian aviation community, mostly by the severity of the accident, and partly by the way flying operations into Mangalore has been portrayed. The inevitab le speculations that is rife may be based on information that is either outdated, or in deviation from facts that got distorted or misinterpreted along the way. The pollen of speculation has hampered the visibility of what truly matters: the analysis and determination of the sequence of events that had led to the crash, based on sources solid evidence, such as the Digital Fight Data recorder (DFDR) and the Cockpit Voice Recorder (CVR). In the meanwhile, the author strives to put forth hard facts about Mangalore’s airport, provide an undistorted view of highly experienced pilots who fly regularly into Mangalore, provide an insight into human factors, and bring up from the past accidents and incidents that are similar to what was seen on the 22nd of may, 2010: a dark day in the history of Indian aviation. Mangalore, a prominent city on the western coast of India, got its only airport in 1951, christened Bajpe Aerodrome. When inaugurated, only one physical runway of 5330 feet length and 148 feet width was constructed, running east to west up a small incline of 0.3°. The whole aerodrome is about 300 feet above mean sea level, constructed over what is known as a table top hill. Due to the small runway, only light to medium aircraft could fly into the airport, popular ones being the ATR-42, ATR-72, Boeing 737 series, and the Airbus A320. The uniqueness about the runway is that valleys of 200 to 250 feet are located immediately beyond the ends of the short runway. More than bringing down the room for error, the presence of these valleys below the runway creates winds that vary abruptly, in direction and intensity, from the winds slightly higher up when approaching either end of the runway. Also present is a 6207 feet high mountain a little more than 20 miles to the east-north-east of the airfield. Due to its short length, the airport was classified into a special category. Adding challenge to the approach, to some degree, was the winds. The question that quickly arises is the performance of an aircraft on such an airfield. Boeing’s data show that a Boeing 737-800 (the same model of airplane as the one that crashed), landing at its maximum permissible landing weight, in standard atmospheric conditions and calm winds, can land to a full stop, under maximum wheel braking alone, within 3485 feet of the runway, as measured from the point when the aircraft was 50 feet above the runway. Astonishingly, for a landing speed just 5 knots (9.26 km/h) greater, under similar conditions as above, the landing distance increases by 215 feet. In 2006, when a new runway was opened, the airport (for operations to and from the new runway) was pulled out of this special category. The new 151 feet concrete runway runs West South West to East North East for a length of 8038 feet. Similar to the shorter runway, there are steep drops on either end of the new runway. As for the wingspan of the Boeing 737-800, the maximum wingspan (for the variant which has winglets: upward bends of the wings to enhance performance: like the one that crashed) measures at 117feet and 5 inches. In comparison, the runway width is 151 feet, 34 feet more than the wingspan of the aircraft. Contrast this with Bangalore International Airport’ runway width, which stands at only 148 feet, while accommodating huge aircraft such as the Boeing 747-400, which has a wingspan of 211feet 5 inches. Concerns regarding the inadequacy of the runway width are unfounded; Singapore’s Changi airport has runway widths of 197 feet. While it is still unclear what caused the over-run of the aircraft at Mangalore International Airport, one fact still remains: the aircraft over-ran the runway. India and the world have been a witness to many such occurrences, most luckily non-fatal. The probable cause of the crash was attributed to the pilot continuing the approach under deteriorating weather conditions, resulting in an unstabilised approach and a late landing at high speed. In the October of 2005, a Sahara Airlines’ Boeing 737-400 over-ran Mumbai’s 11302 feet long runway by 160 feet. The runway was much longer than Mangalore’s, yet the incident occurred due to the pilot being high on the approach profile and landing 4000 feet past the runway threshold. There were no fatalities or serious injuries, and the aircraft ended up with its nose gear stuck into the mud of the level area ahead of the runway. On the 8th of December, 2005, a Southwest Airlines Boeing 737-700 was cleared to land on the centre runway at Chicago Midway Airport. The aircraft touched town on the 6522 feet long runway at 132 knots (244km/h), after eating up 2000 feet of the runway. Only 4500feet was left, and automatic wheel braking was selected to maximum. Only 18 seconds after touchdown were thrust reversers (devices that deflect the engine thrust in the reverse direction, aiding in aircraft deceleration) deployed, that too after the first officer noticed that they were not deployed. The airplane “departed the end of the runway, rolled through a blast fence, a perimeter fence, and onto a roadway”. The probable cause of the crash was attributed to the delayed deployment of thrust reversers, and the pilots’ unfamiliarity with a particular system on board, leading to their distraction. It was also determined that contributing factors were the shortcomings in the airline’s training, and issues with the on board electronic computer in its use and critical information display. On the 7th of March, 2007, a Garuda Indonesia Boeing 737-400, over-ran the east facing runway of the city of Yogyakarta (Indonesia) after a flight from the capital Jakarta. As per the report, the aircraft crossed a road, and impacted an embankment before stopping in a rice paddy field 826 feet from the other end of the runway. The aircraft was “destroyed by the impact forces and an intense, fuel-fed, post-impact fire”. The cause of the crash was solely and without doubt attributed to pilot error. Due to non-compliance with procedures, the pilot landed at 221 knots (409 km/h), which was 87 knots (161 km/h) faster than the required landing speed with full flaps extended (devices which increase lift, allowing an aircraft to fly safely at lower speeds). The first officer sternly requested the captain to go around (abort the landing attempt, climb to a particular altitude, and come in for a second attempt at landing). The words of the first officer were not heeded to, and 21 of the 140 passengers on board lost their lives. This very aircraft had been used by Jet Airways between 1997 and 2002. While many pilots complain of actually being overworked, they admit to the fact that their concentration peaks during a take off and landing. As far as the effects of fatigue on good judgment go, “At some point it can have its effect, but then judgment is affected by so many factors of which fatigue is just a part”, says a highly experienced 737-800 commander who has flown planes in the Indian Navy and also has thousands of hours on the ATR-72. Incidentally, the revised Civil Aviation Requirements (CAR) for Flight Duty Time Limit (FDTL) of fixed wing flight crew members, issued on the 27th of July, 2007, has been kept in abeyance. According to the commanders talked to, an additional clause prohibiting flying on two consecutive nights was introduced. The keeping in abeyance of this CAR is seen by pilots as a move to block adequate rest for pilots, to ensure the optimum utilization of the pilot pool by the airline management, at the possible expense of an airline pilot’s performance. To emphasize and enforce the practice of crew resource management (CRM), for a safer flight through a collaborative crew performance, the DGCA advisory circular 8 of 2009 enforces CRM as the “effective use of all available resources: human resources, hardware, and information”. However, personal issues still do spring up on the flight deck, and good decisions or suggestions are at times ignored by the louder, stronger voice of the ego. Surprisingly, the word “land” was not used. Bravo! Beautiful Article!!! :D Very informative, and well researched! Had a great time reading it. As usual well written Mr Author Vasuki. after all the reading and past recurrences, i wonder why the new runway is not used. was it not ready? if not, why the delay , whether they wanted human sacrifice before inaugurating the new runway? any way gastly incidence and those families never get back their dear. let us await the Box analysis results , if at all the admin is willing to share the details publicly. Nice write up Captain !!! Very well written, Vasuki! 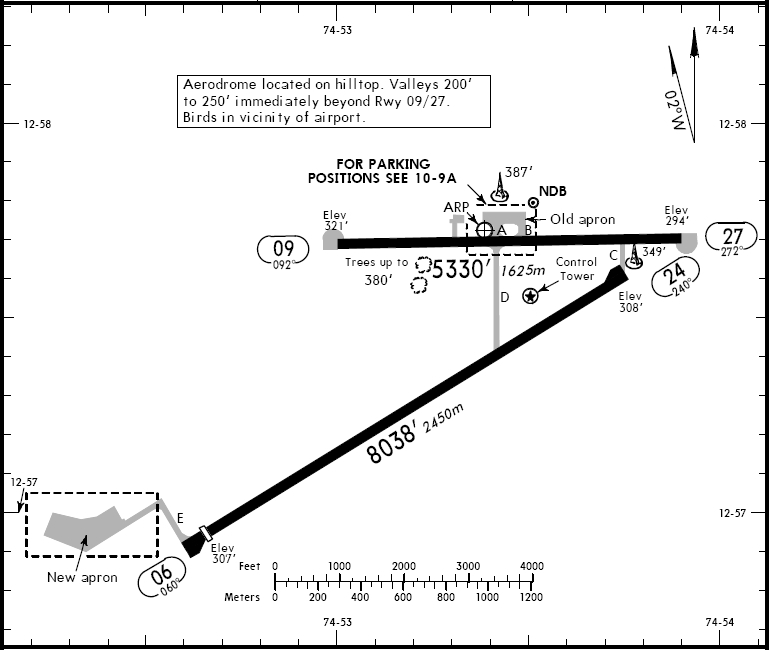 With the most speculated cause of the AIE Flight 812 and the not so common runway overruns (atleast not too much talked about), approach and landing on TDZL should be emphasized. Nicely versified on the previous overrun accidents. I fail to believe anything at the moment. But I wouldn't trust the media or anyone chewing over the 'one' cause. Now that the black box has been recovered, let's observe silence, wait and watch.